In Each One a Savior. 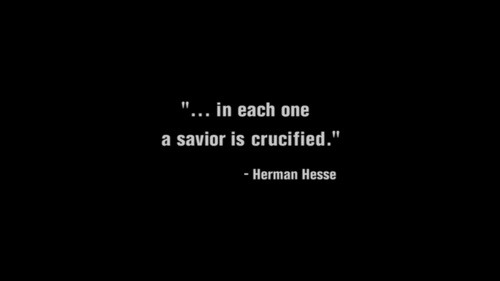 "...in each one a savior is crucified." -Herman Hesse. HD Wallpaper and background images in the The Black Donnellys club tagged: the black donnellys screencaps episode 8 in each one a savior quote.